When shopping for a driver the speed, forgiveness, and ease of use should always be your top priorities. The Cobra KING F6 offers all this and much more thanks to the modern technologies and design. It features a Forged F9 face, F6 CG Tuning, SPEED CHANNEL and MYFLY8 technology. The driver has a graphite shaft that is available in stiff, X-stiff, senior and regular flexes. And you also get to choose from four different colors for the head, and they include blue and white. Forged E9 Face: The 8-1-1 titanium E9 face has a variable thickness, and it is also lighter and thinner for more deflection so that you always get a large sweet spot and some impressive ball speeds. F6 CG Tuning: This driver makes it possible to personalize the distances with a unique tuning system that will allow golfers to shift the center of gravity back and front. Shaft: Like most other drivers it comes with the durable and high performing graphite shaft. And it is available in four different flexes which are stiff, X-stiff, senior and regular. MYFLY8: KING F6 features 8 adjustable loft settings that will make it easy for you to fine-tune the launch conditions and manage the trajectory so that you always get maximum distances. Speed Channel: The SPEED CHANNEL is another unique feature from Cobra that entails engineering a channel around the face to minimize the thickness so that golfers always get maximum ball speeds across the face. Hand Orientation: This driver is for all golfers since Cobra makes it in both right and left-hand orientations. It has some easily adjustable loft settings to make it easy to manage the trajectory. The unique Speed Channel increases ball speeds across the face. You can get it in four different shaft flex options. It has a larger sweet spot across the face thanks to the forged E9 face. The adjustable center of gravity positioning makes it even more customizable. Golfers can choose from four different colors. Cobra makes this driver for both left and right-handed golfers. It still packs a sound punch despite being a lightweight and easy to swing golf driver. KING F6 is one of the most forgiving drivers on the market. Some golfers complain that the stiff flex is not ‘stiff’ enough. The grip is not the best, and you might need to replace it with something else. It will be a little whippy for some golfers. The big head might be hard to square up for some golfers. 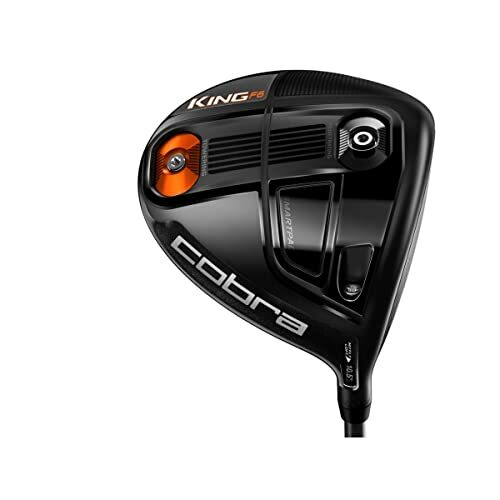 Cobra KING F6 is one of the most forgiving and adjustable drivers that you can get, and it will work well for almost all types of golfers. It is also a beautiful club that is available in four different colors, and so if looks matter to you, it will impress you. Cobra also makes it with some of the best and modern technologies that you can expect to see in a driver including the Speed Channel and MYFLY-EIGHT. 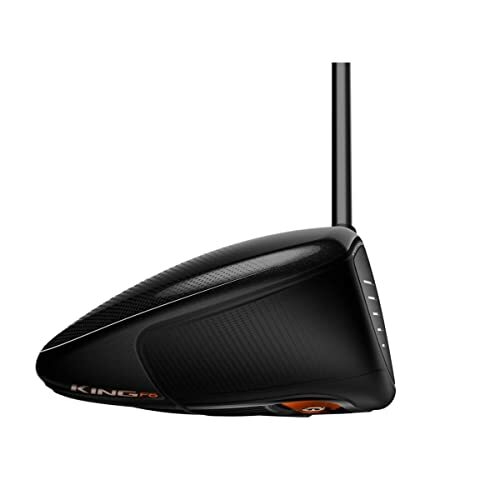 And so with the KING F6, you can be sure that you will have everything you need in a driver. However, like any other golf club, there are a few things that some golfers might not like about this driver. The grip and difficulties in squaring up the big head are some of these features. However, there is nothing significant that can affect the performance of this driver, and so it is still a good pick for beginners as well as seniors.